Slide scanning prices shown include scanning, color enhancement, and dust and scratch softening. 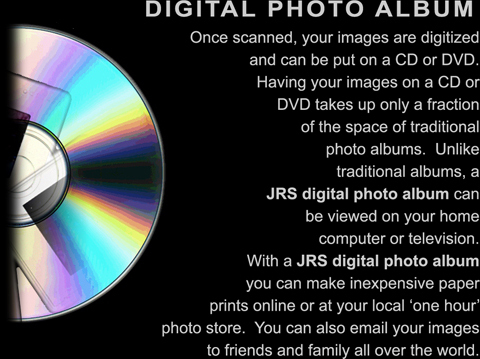 Storage of images is available on CD or DVD. Each disc comes printed with a label including disc title and other information of the customer's choice.